What is an Apple RTC? 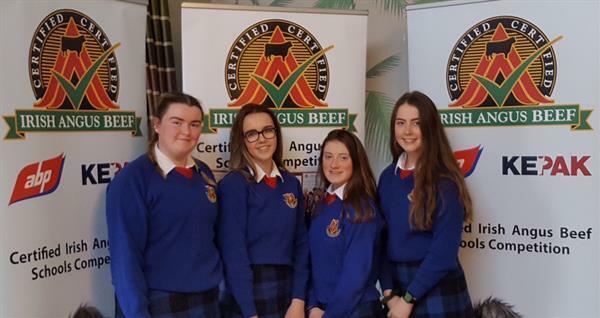 For the third year in a row St. Vincent’s Transition Year students have their sights set on winning five Certified Irish Angus Beef calves in the Certified Irish Angus Beef Schools Competition which is sponsored by Kepak, ABP and The Irish Angus Producers Group. The aim of the competition is to promote Certified Irish Angus Beef and this years group of four transition year students, Rachel Muckian, Jennifer Trainer, Bláithín Malone and Colleen Hoey have been busy informing students and staff of St. Vincent’s school about the advantages and benefits of purchasing Certified Irish Angus. This includes melt in the mouth marbling, excellent flavour and superb texture. It is also high in protein, Vitamin B12 and omega 3 and low in fat. Certified Irish Angus Beef can be purchased in Tesco stores, look out for the Bord Bia approved and Certified Irish Angus labels. 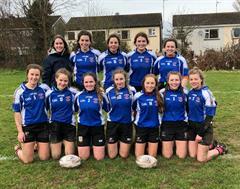 The hard-working team will attend the final of the competition in Croke Park in Dublin on March 14th alongside their teacher and mentor Ms Sarah Hunt . Ms Hunt commended the girls and wishes them the best of luck.